Transavia now offers cheap flights to French capital including many Summer dates. 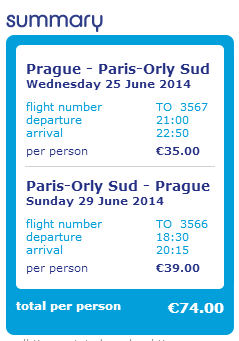 Return flights from Prague to Paris Orly are anow available for only €74! This price includes 10 kg cabin luggage which should be enough for weekend stay in Paris. You will have to pay extra €5 booking fee for each passenger and also €5 for payment with debit/credit card per booking. Travel dates are until September 2014. Book directly via Transavia. For more dates in September you can also fly with Easyjet for the same price. Paris is very expensive city with one of the highest prices of accommodation in the whole Europe so we advise you to carefully choose the accommodation if you don’t want to spend a fortune on it. Check our accommodation search engine to compare all major booking sites at once! Hostels can also be a good option. 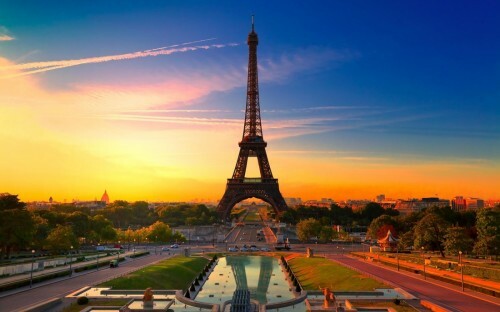 « Cheap flights to France: Prague-Paris for only €75!